Needle ice is formed when the ground is above freezing but the air is below freezing. Water in the soil rises to the surface and freezes, forming tiny needles of ice that often push the top layer of soil two or three centimetres into the air. 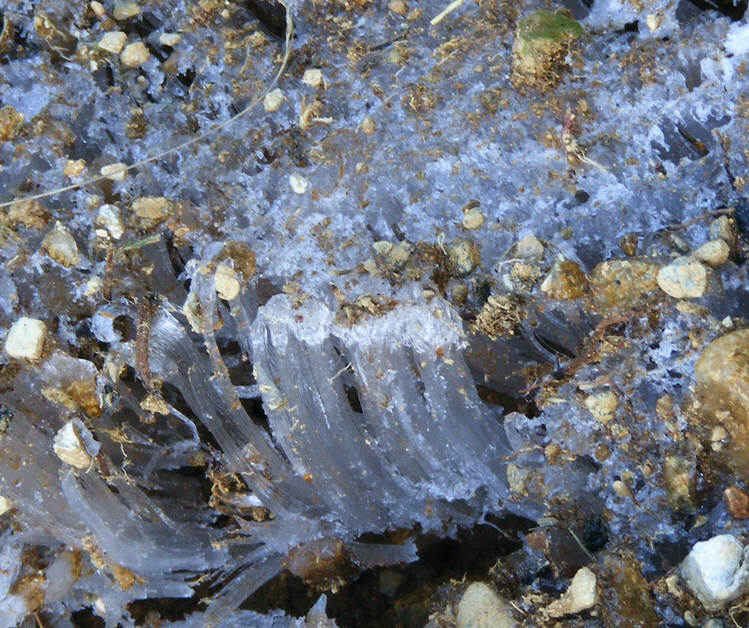 Here we see a side view of some needle ice in place at the edge of a larger patch, showing the fine hair-like structure and the thin layer of soil on top.